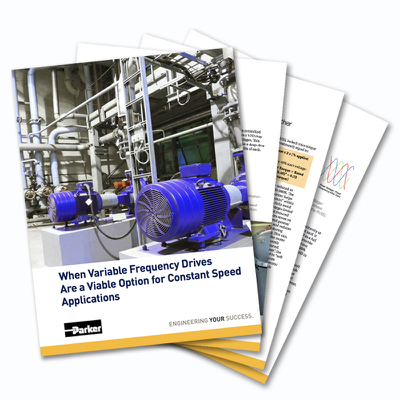 Using a variable frequency drive (VFD) can be beneficial in many constant speed applications driven by electric motors, such as those that require controlled starting and have been historically served by a reduced voltage soft-starter (RVSS). The differences between an RVSS and a VFD and the benefits of each. When it makes sense to use a VFD in place of an RVSS. Complete the form below for a link to download the white paper. We'll also email a link to you.